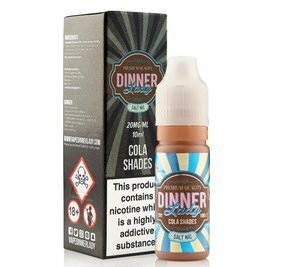 Dinner Lady Blackberry Crumble Nic Salt e-Liquid | Electronic Cigarette Co.
Blackberry Crumble by Dinner Lady was inspired by everyone's favourite lemon pudding. A tangy lemon curd lavished over gooey meringue, and enveloped in a thin crust pastry. This is a 50% VG Salt Nic e-liquid 20mg nicotine blend which is different from traditional eliquid. Salt nic juices deliver a much smoother nicotine hit, however, the nicotine level can still be high and will provide a strong dose of nicotine. Best used with cigarette-like devices, vape pens and all-in-ones. Please read our nic salt article for lots more information.